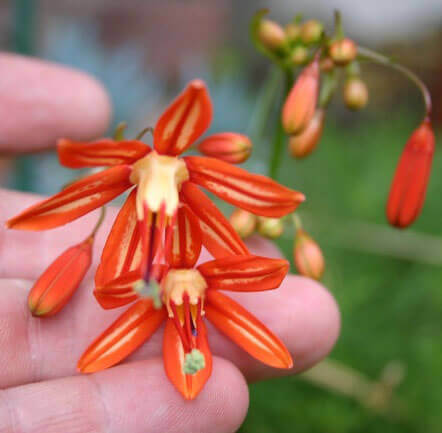 The common name are coral drops and is a cultivated half-hardy Mexican herbaceous plant growing from corms with drooping terminal umbels of showy red colored flowers with a white stripe on the inside and centre of each petal. Height to 30cm. These bulbs must be kept dry over winter.